It's been nearly a year since a consortium of Nova Scotian mills and forestry companies formed WestFor Management Inc. but concerns about what the company means for the industry aren't letting up. 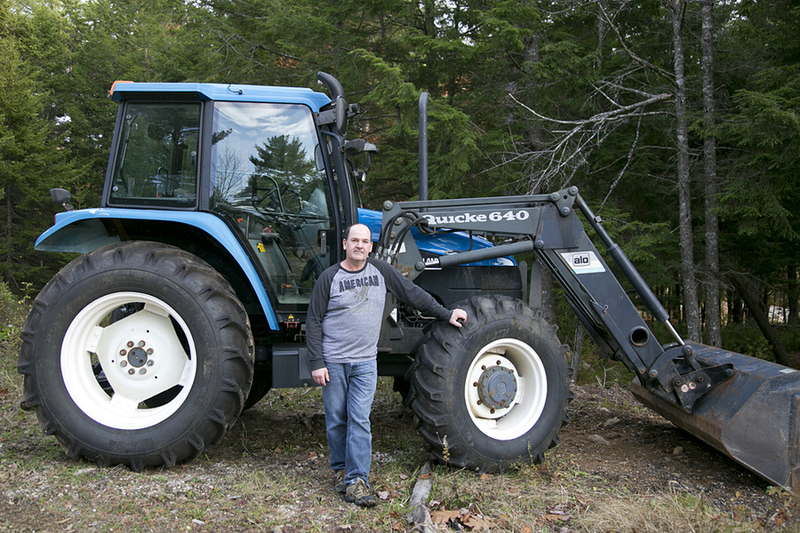 Travis Parsons, one of the largest private woodlot owners in Nova Scotia, says WestFor is one of the causes of an influx of wood on the market, a problem that's driving prices down and keeping foresters like him from selling their wood. WestFor is owned by 13 mills and forestry companies, and has a 10-year lease agreement with the province to harvest wood on Crown land, some of which was formerly owned by Bowater. The Department of Natural Resources (DNR) told LighthouseNOW last year that WestFor had a lease to cut on over 500,000 hectares. But a DNR spokesperson recently said the agreement is volume based, and there is no defined management area, meaning, the company can harvest wherever is permitted by the province on Western Crown land to acheive their allocations. The 2016 allocations for the 13 companies comes to a total of 312,000 green metric tonnes of wood of all species. The highest wood allocations under WestFor go to Northern Pulp, which has an annual tonnage of 125,000 in spruce and fir products. Other large allocations go to Harry Freeman and Sons Ltd., Ledwidge Lumber Co., and Louisiana Pacific. DNR pays WestFor an overhead allowance for managing the land, which it also does with Medway Community Forest Cooperative. DNR says WestFor doesn't receive any other payment for operational costs. Kyle Millett, a sawmill owner and logger who is often contracted by sawmills under WestFor, agrees the amount of wood cut on Crown land is affecting prices. "It never seemed to matter if the lumber prices dropped, the actual world prices on the lumber, it mattered how much inventory the mill had," he said. "If the inventory was down in the mill, they paid more regardless of the price of lumber, if the inventory is high, they drop the price." Parsons, who owns J and J Forestry Ltd., says the sawmills' access to so much Crown land gives them unfair advantages. "[The sawmills] can control whatever they want," said Parsons. "If they can cut whatever they want, they control prices. All they have to do is put a large amount of wood on the market." Besides the price issues, Parsons says it's cheaper for WestFor to do the work because the companies can go in on overhead costs together, such as logging roads, something he as a private woodlot owner has to build and maintain on his own. But Marcus Zwicker, manager of WestFor Inc., says it's still cheaper to cut on private land and that mills prefer to buy from private, local land. "[Stumpage fees] on private land are significantly lower and operating costs are significantly lower as well, from road construction, to management costs," said Zwicker after a recent panel discussion on forestry in Mahone Bay. Zwicker insists WestFor is struggling the same way private woodlot owners and community forest groups are. "The market share we have is less than 18 per cent and it's less than the local sawmills," he said. Allan Eddy, former associate minister of DNR, said he's heard foresters' concerns. "We're certainly not just saying 'too bad for you.' We need to continue to monitor the situation and make sure things stay in balance," he said. Eddy says the majority of wood harvested in Nova Scotia comes from private land, with only 20-25 per cent being cut on Crown land. "A year ago, we were in a situation where supply and demand were mismatched in that there was much more demand than there was supplies," he said. "For a number of reasons, as is the case in free market situations, the supply and demand curve crossed over each other earlier this spring so the current market is an oversupply situation." When asked if sharing resources, such as roads is helpful to a company like WestFor, Eddy said, "All those things are a part of the overhead of any operation, you have to create the access, somebody has to pay for it. So again you have one group of people, one organization planning it, you get economies of scale." For Bob Bancroft, a woodlot owner and forest biologist, the concerns are not just regarding the market. He believes ties between DNR and industry are too strong. "These companies are responsible to shareholders and they're out to make a profit and the government of the province has handed over the stewardship and the management of the [land] to companies that are going to basically make a profit out of it," he said. There's a lack of transparency when it comes to forestry, added Bancroft, something Parsons says he's struggled with too. "Everyone is trying to get more information so we know what's really going on," said Parsons. "We're asking questions but no one is ... giving us any answers." Eddy provided some details of the lease WestFor has with the province in an email to LighthouseNow and several foresters. According to the email, allocations to mills under WestFor are based on historic wood consumption levels from each mill. Mills in the Western region are able to receive 21 per cent of their wood through WestFor from Western Crown land. Mills located in central Nova Scotia can receive up to 16 per cent from Western Crown. According to the statement, this "was not intended as a limit to the proportion of supply to come from Crown lands in the future." Although Eddy said the stumpage rates are "standard," WestFor is also participating in a pilot project to produce pine boltwood, which comes with a unique rate. That pilot project ends December 31 and it's anticipated that the new product rate will be added to standard Crown land stumpage rates available to all licensees. In an email to LighthouseNOW, DNR spokesperson Bruce Nunn stated the outright agreement between WestFor and the province couldn't be released nor could the stumpage rates because it could adversely affect the competitive business environment or influence private land stumpage rates. He recommended LighthouseNOW make an application through Freedom of Information, which we've done.